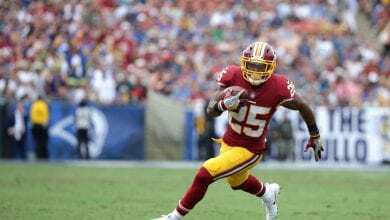 Miami Isn't a Popular Pick...But are they the Right One? 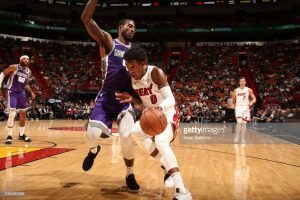 Can Miami's offense get to the Kings vulnerable defense on Friday? Something seems a bit off about the February 8th NBA free pick line. Sacramento is giving just -3.5 at home to the Heat. The Kings have won 3 out of 4 and have been home for nearly two weeks. Miami has traveled cross country for their 2nd of 6 road contests. The Heat even lost by 10 at home at the end of October to the Kings so why not a Sacramento -7 or -8 line at least on Friday? Trap…or classic overthinking? 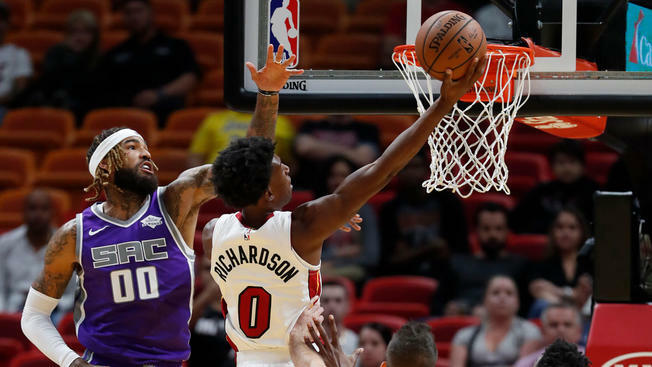 Richardson went for 31 vs. the Kings earlier in the year but it wasn’t enough for a win. If you’re looking for an edge in Friday night’s February 8th NBA free pick it’s probably going to be down on the blocks. Specifically Miami’s Hassan Whiteside has been dominant lately and in the first meeting with Sacramento this season. Whiteside’s numbers the last three are 28/11, 19/13, and 12/16. Granted Miami is just 1-2 over that span but their big man also went for 16 points and 24 rebounds in the first contest with Sacramento. The Kings fast paced offense leaves their defense very vulnerable – can Miami find any secondary scoring in this one? 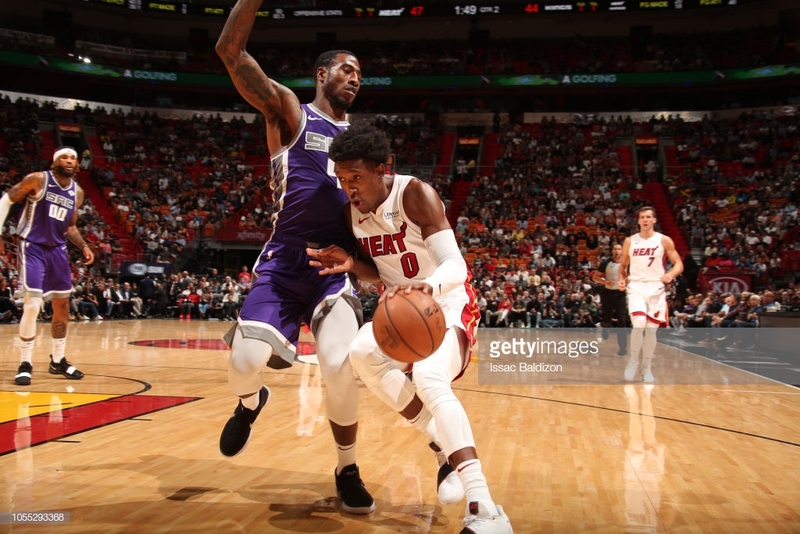 The biggest reason Miami looks like an upset candidate in Sacramento on Friday is because their offense should put up plus numbers while their defense has clamped down lately. Erik Spoelstra’s team has the #3 defense in the league in opponents points/game as well as field goal percentage. Granted Sacramento scored 123 in the first matchup but Miami has buckled down lately. Three of the Heat’s last six opponents have been held to under 100. Does the Kings offense not mesh with their new teammates? Is that why this spread isn’t higher? The Kings have proven that a 2-4 road trip that finished up at the end of January was due to being on the road and not fatigued from fast-pace play to start the season. Once they got back to the Golden 1 Center the Kings rattled off wins vs. Atlanta, Philadelphia, and San Antonio before falling 101-127 to the Rockets on on Wednesday. 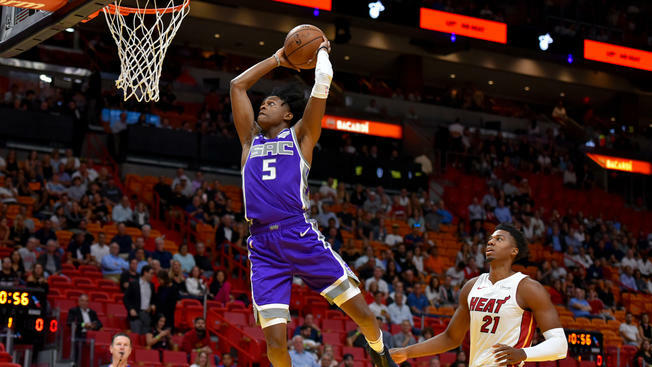 The Kings offense is definitely clicking (115+ in 3 of 4 on their home stand) which will be a huge advantage vs. the tough Miami defense in the February 8th NBA free pick. One of the reasons it seems like Sacramento should be bigger favorites Friday is because they debut some new faces. 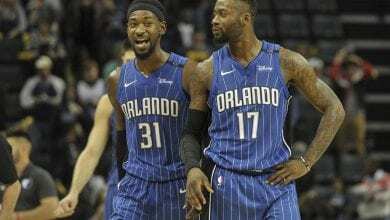 For the first time in what seems like since the Chris Webber days the Kings were buyers at the trade deadline acquiring Harrison Barnes, Alec Burks, and Corey Brewer. 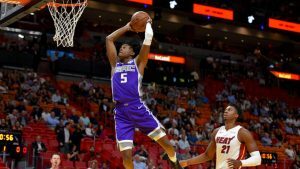 Joining an already solid core that includes De’Aaron Fox, Buddy Hield, and Marvin Bagley III Sacramento looks like a legitimate postseason contender. Once again, why isn’t this line Kings -8 at least? This game seems too easy with Sacramento at home for the 5th straight game against a Miami team traveling on a long road trip. There’s a new energy with the Kings after the trade deadline acquisitions and for the fact that they are just a game out of playoff seeding this late in the season. Roughly 78% or more of the betting public agree with Sacramento being the play and although the line has gone from SAC -2.5 to SAC -3.5 it still seems fishy. There’s not one reason to justify taking Miami in this contest besides a possible Whiteside dominance – and that’s why it should be done.